Paul St. Peter, twice nominated for BTVA awards, is a voice actor from North Dakota whose many anime and video game credits include KINGDOM HEARTS (Xemnas), NARUTO (Nine Tail Fox), ONE PUNCH MAN (Beast King), ROBOTECH (Zor Prime), BLEACH (Yammy), WORLD OF WARCRAFT (Boden The Imposing), DYNASTY WARRIORS I-IV (Yuan Shao), DIGIMON (Kokoman), ZETMAN (Sugito), MAJIN (Majin), and RESIDENT EVIL 5 (Swahili Zombie). Paul has comical voices too, from COWBOY BEBOP (Punch) to DIGIMON WARRIORS (Wormmon). Among his other game, anime, and feature anime credits are GURREN LAGAAN (Jorgun), THE COUNT OF MONTE CRISTO (Mondego), MONSTER (Dr. Reichwein), PAPRIKA (Konakawa), LUPIN III The Secret of Mamo (Mamo), DURARARA (Higa), X-COM (Dr. Heinrich), BATTLE B-DAMON (Armada), DIABLO III (Demented Spirit), and DEFIANCE (Burgess). He has recently wrapped work on MONSTER STRIKE (Death Panda), DRAKENGARD 3 (Michael the Dragon), JOJO'S BIZARRE ADVENTURES (Dire/Jack The Ripper/Wamuu), NARUTO 7: Ultimate Ninja Storm 4 (Kurama), THE SEVEN DEADLY SINS (Armor Giant), AJIN (Hirasawa), HEARTHSTONE (Igneous Giant), KILLER (Colonel Derick), and GODEATER II (various roles), and HAPPILY MARRIED (Saturo), a Japanese serial. A versatile performer, Paul also sang for four seasons with the San Diego Opera Company, three seasons with The San Diego Civic Light Opera, and appeared in several productions at the Old Globe Theatre. In Los Angeles, Paul has acted on the stage at The Globe Playhouse, Richard Basehart Theatre, Palos Verdes Shakespeare on the Meadow, and has "gone on the road" with Nevada Shakespeare in the Park for eleven seasons. As an instructor, he has taught speech, accents, dialects, phonetics, vocal production, and Shakespeare at The American Academy of Dramatic Arts, California State University Los Angeles, San Diego State University, Los Angeles Broadcasting School, The Windward School, and is a speech and acting coach for Native Voices at The Autry, a Native American theatre company, and The Rogue Artists, a hyper-Theatre Company. Paul's TV appearances include work on NCIS, LAST MAN STANDING, RINGER, TIM AND ERIC'S AWESOME SHOW, JESSIE, LEGIT (FX) and the hilarious KEY AND PEELE (Comedy Central). He is a writer for STAR WARS RPG, FIREFLY RPG, and STAR TREK RPG. ​Legendary game designer who helped in creating Dungeons & Dragons. His work in the field of role playing games spans several decades, and his knowledge and experience is nearly unsurpassed in the field. 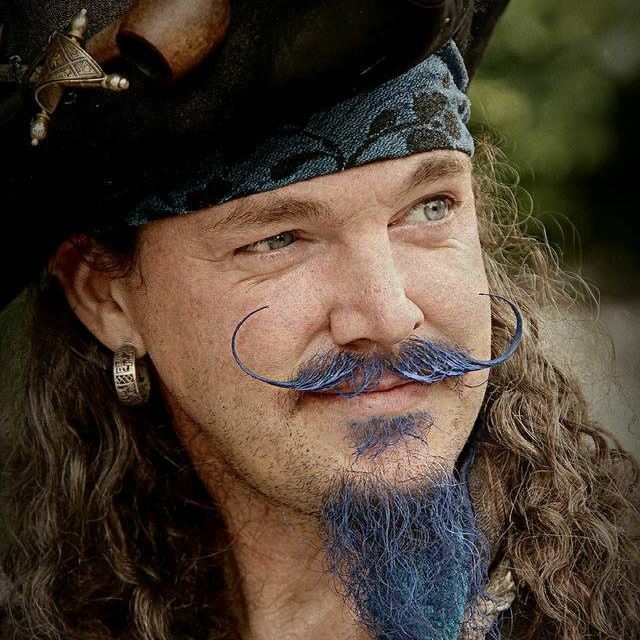 Sean Chiplock is a professional voice over artist living in Lomita, California.​ He has worked on many projects, among some of the more notable being, the voices of Revali, Teba, and Deku Tree in Nintendo's The Legend of Zelda: Breath of the Wild; Rean Schwarzer in The Legend of Heroes: Trails of Cold Steel; Persona 5; Rash the Battletoad in Killer Instinct; Dragon Ball Super; Cassim in Magi: Labyrinth of Magic; Kiyotaka Ishimaru in DanganRonpa; and so many other others. Chip also ranks as one of the nation's top-placing Megaman users in Super Smash Bros. Legendary game designer who helped in creating Dungeons & Dragons. His work in the field of role playing games spans several decades, and his knowledge and experience is nearly unsurpassed in the field. in America, and writer/performer of Mysterious Theater 337 and Thriller Theater! as well as the founder of Gallifrey Base, the worlds largest Doctor Who forum. Contributor to the books Silver Scream (Vols. 1 and 2), author of Doctor Who: Red, White and Who: The Story of Doctor Who in America, composer and musician on independent film scores and convention music. and Who: The Story of Doctor Who in America, and convention organizer and costuming expert. and the ongoing Tales of New Chicago web comic strip. Writer and Editor for “Dungeons & Dragons”, “Forgotten Realms”, “Ravenloft” book line; Chaosium Fiction Editor for the “Lovecraft/Call of Cthulhu” Line. Animation writer, director, and producer working on series such as The Simpsons, Recess, Rugrats, Lloyd in Space, The Tracey Ullman Show, and Beethoven: The Animated Series. He has also worked on movies such as Big, Say Anything..., and Broadcast News. of Gallifrey Base, the worlds largest Doctor Who forum. Cosplay Dad’s daughter got him started in cosplaying about 9 years ago with cosplaying Stone from Teen Titans. Cosplay Dad was inspired to give himself his name after receiving the nickname from voice actor Vic Mignogna. The Cosplay Dad's day job is to teach for GE Healthcare all over the world so many parts of his cosplays have been made in other countries. When he is not cosplaying, he likes to help with Boy Scouts or play games with his family. Koala Cosplay has been cosplaying for 10 years now, 9 with her father, the Cosplay Dad. In those 9 years, she has learned so much and has grown closer with her dad, knowing that not everyone is lucky enough to be able to cosplay with their family, much less have them approve of this odd hobby of dressing up like fictional characters. Her favorite cosplays that she's made so far have been Korra (from Legend of Korra season 2) and Miss Martian (from Young Justice). Above all else she believes that anyone can cosplay, and that you should be comfortable in your own skin cosplaying whomever you choose. Is a multi-talented artist who displays his abilities on a regular basis at the Dead Man's Carnival. 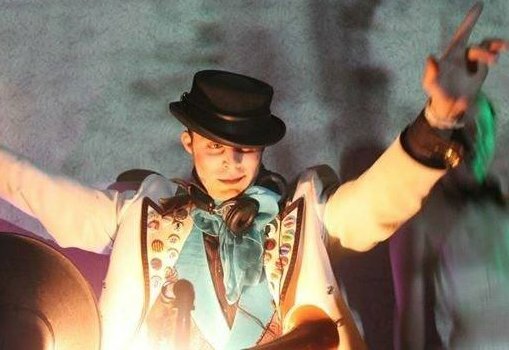 He is a phenomenal performer who specializes in magic, juggling and fire performance. His skills have amazed and delighted audiences across the Midwest. Infinite Sky Cosplay is a group of cosplayers from across Wisconsin. They came together determined to promote the belief that "Everyone can cosplay"; body type, skin color, gender, skill level should never hold anyone back from what they dream of accomplishing. Infinite Sky exists to hear about your passions for costuming and share their trials, tribulations and successes. Frozen Rose is a two women Cosplay team from Wisconsin. Frozen and Rose have been costuming together since they met via their local renaissance faire. However, it wasn't until 2012 they began competing in their hand crafted cosplays. Now they attend many conventions, as well as have a few panels to offer, and have been asked to judge cosplay contests on a few occasions. Author of Silver Scream (Vols. 1 and 2), Doctor Who: Red, White and Who, and writer/performer of Mysterious Theater 337 and Thriller Theater! as well as the founder of Gallifrey Base, the worlds largest Doctor Who forum. Contributor to the books Silver Scream (Vols. 1 and 2), composer and musician on independent film scores and convention music. Contributor to the Hugo award winning book Chicks Dig Time Lords, convention organizer and costuming expert. We are currently working on securing guests for our convention. Here are some of the great guest we have this year, and we are happy to welcome some from previous years back to our con! Founder of Epguides.com, a resource for television episodes guide listings. Independent Comic book artist and writer of Critical Mass. Curator of The Doctor Who Cuttings Archive, BroaDWcast, and the Fuzzy Images museum. Special effects and model builder, worked on miniature effects for the Emmy Award winning Pioneers of Television. Director of Thriller Theater!, with work on Unknown and Traumaturge. Olsen has also been very active in the fan film circuit. 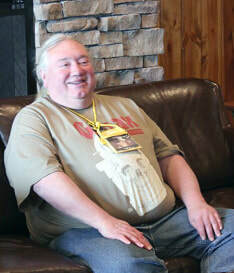 Author of "Talking to Trees", "Agents & Adepts" and "The Crystal Throne." She contributed to the Steampunk Anthology "Clockwork Spells and Magic Bells" and is also a long time Doctor Who writer and anthology contributor. Publisher of Outside In (Doctor Who), Co-Author of Howe’s Transcendental Toybox and Zombiemania, former editor of the Overstreet Comic Book Price Guide, and founder of ATB Publishing. Author of Silver Scream (Vols. 1 and 2), Doctor Who: Red, White and Who, and writer/performer of Mysterious Theater 337 and Thriller Theater! Artist of Magic: The Gathering CCG cards, Game of Thrones CCG cards, Dungeons & Dragons, FASA games and much more! Visual effects artist and director of The Wheel, the Grand Jury winning film of the R3D Film Festival.